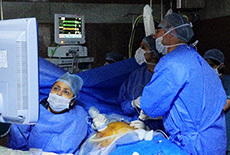 Led by Dr Anita Kaul who brings in 11 years of experience as a Fetal Medicine Specialist. We offer a multidisciplinary approach to treating pregnancies with fetal abnormalities and work with your obstetrician in planning management of pregnancies complicated by maternal disease. We maintain international standards of fetal care and follow the FMF-UK and ISUOG guidelines in all our practice. Dr. Kaul is presently working as a Sr Consultant and Coordinator Fetal Medicine and Genetic services She has about 11 years of experience in the super specialty of Fetal Medicine and was practicing as an High Risk Obstetrician for 12 years prior to this. Singh C, Kaul A. Monochorionic twin pregnancy. AOGD Bulletin, Volume 14-8, December 2014. Amniotic fluid index in healthy pregnancy in an Indian population. Singh C, Tayal T, Gupta R, Sharma AP, Khurana D, Kaul A.
Int J Gynaecol Obstet 2013 May. Diagnosis of sirenomelia in the first trimester Singh C, Lodha P, Arora D, Prabhu Sharma A, Kaul A.
Nasal bone length: the long and short of it. Evaluation of the reference values for the fetal nasal bone length at 16 to 25 weeks of gestational age in an Indian populaton.Sharma A, Tayal T, B H N, Radhakrishnan P, Kaul A.
Rapid-prenatal diagnosis through fluorescence in situ hybridization for preventing aneuplody related birth defects. Fauzdar A. Chowdhary M, Makroo RN, Mishra M, Srivastava P, Tyagi R, Bhaduria P, Kaul A.Indian J Hum Genet. 2013 Jan.
Obstetric outcomes associated with second trimester unexplained abnormal maternal blood markers:A comparative study between outcomes of normal and abnormal blood values. 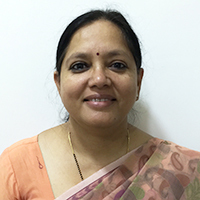 Dr Akshatha is currently working as a Consultant at Apollo Centre for Fetal Medicine. She is a trained obstetrician and gynaecologist who started her postgraduate journey with her thesis pertaining to high risk pregnancy. With a keen interest in this field, she completed her Fellowship at Apollo Centre for Fetal Medicine with accreditation in obstetric scanning from FMF UK. 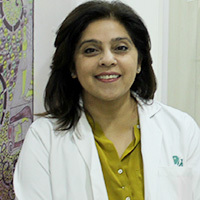 She pursued her goal further and gained international experience from the reputed Maternal Fetal Medicine Department at KK Women’s and Children’s Hospital, Singapore and from the Fetal Medicine Department of the prestigious AIIMS. She’s one of the few approved national examiners for the FMF UK anomaly certification from India. Her main areas of interest are fetal growth restriction and multiple pregnancy complications. She has varied publications in peer reviewed journals and was one of the assistant investigators from India working for the recently published WHO Multicentric study on Fetal growth. She has been a Research Associate at the Fetal Medicine Department of AIIMS where she had the opportunity to work in close contact with the genetics department and gained vast experience from numerous prenatal diagnosis done for complicated genetic cases. She is actively involved in academics at the department and is one of the faculty for the Fetal Ultrasound Programme training. She believes in creating awareness for prevention of birth defects and as a part of the FMFI academic activities , has been a part of its Outreach programmes. There are only handful of doctors in India to have Research Fellowship from Fetal Medicine Foundation-UK and Dr Rachna Gupta is one of them. Dr. Gupta did her M.S. (Obs. & Gyn.) from B. J. Medical College, Ahmedabad. 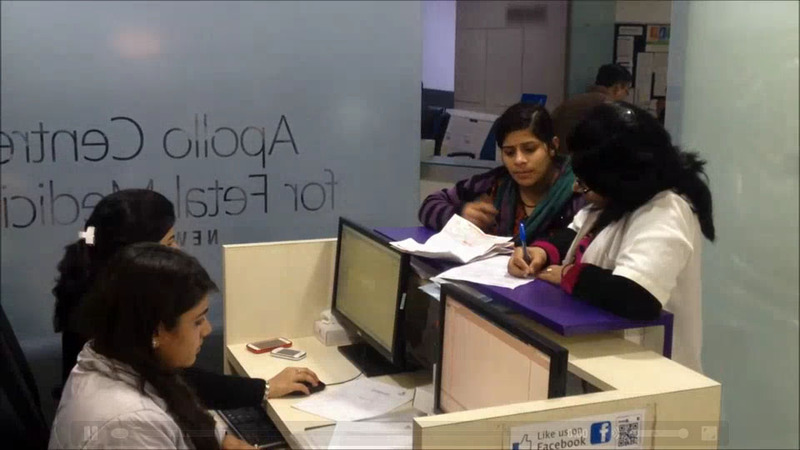 Right after her PG, she joined Dr Anita Kaul at Apollo Centre for Fetal Medicine for one year. She worked at King’s College Hospital of London, UK with Professor Kypros Nicolaides, where she completed all her FMF certifications within 10 months. Research – she worked extensively on “First Trimester Screening for Preterm Delivery” in UK and collaborated with Dr Anita Kaul in various research projects during her fellowship. 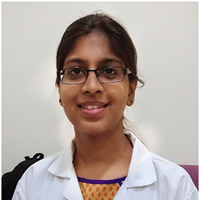 After coming back to India, she worked at AIIMS for one year as a Research Associate and worked on combined screening for aneuploidies and preeclampsia in first trimester. She has published articles in International Journals and participated in numerous national and international conferences and is actively involved in research, training and academic programmes related to Fetal Medicine. 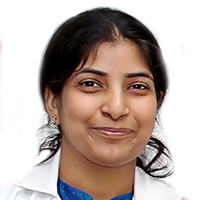 After completing her medical school in 2011 from Government Medical College and hospital, Chandigarh, she joined her alma mater for residency in Obstetrics and Gynaecology. Following residency, Dr. Saloni Arora developed keen interest in the field of fetal and perinatal medicine. She chose to work closely with world-renowned experts in prenatal diagnosis, invasive fetal diagnostics and therapeutics and joined the Apollo centre for fetal medicine. She believes in providing the same level of care for her patients that she demands for herself and her own family and empathize with her patients at all levels. 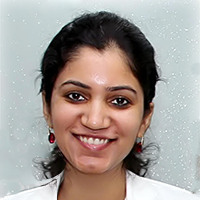 Dr Smriti completed her post graduation in Obstetrics and Gynecology in 2015 from Institute of Post Graduate Medical Education and Research, Kolkata. She worked on the topic of prediction of Preeclampsia using maternal serum biochemical markers during her residency. The “Unborn Patient” fascinates her. 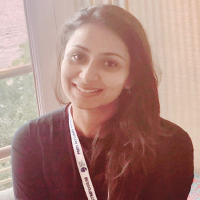 She has joined Apollo centre for Fetal Medicine as a Clinical Fellow and is committed to enrich herself working alongside the stalwart as well as contribute to research in the field of maternal fetal medicine .